Don't get miffed by not being able to fit your fancy wheelset in the latest Boost frames and forks. Adapt your 12x142mm rear hubs and 100x15mm front hubs with the Wolf Tooth Boostinator to fit Boost 148 frames and Boost 110 forks. So, how does it work? 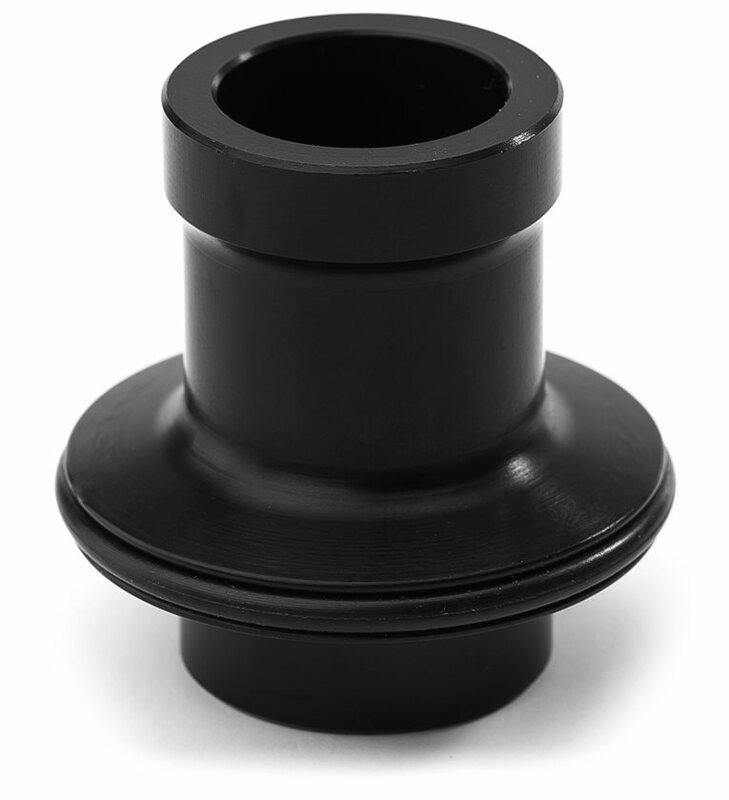 Simply, the end cap extends the hub width to fit into Boost dropouts, while a rear brake spacer and extra-long, high-strength bolts keep the rotor in line with your brake caliper. Lastly, you will need to re-dish your wheel(s) ever so slightly. Re-dishing is a pretty quick, simple and/or cheap process, and actually improves the bracing angles of your spokes, meaning your wheels get stronger and drivetrain positions are maintained. Boostinator kits are currently compatible with Hope Evo Pro 2 hubs and Industry Nine Torch hubs, but Wolf Tooth continues to add more to the list. 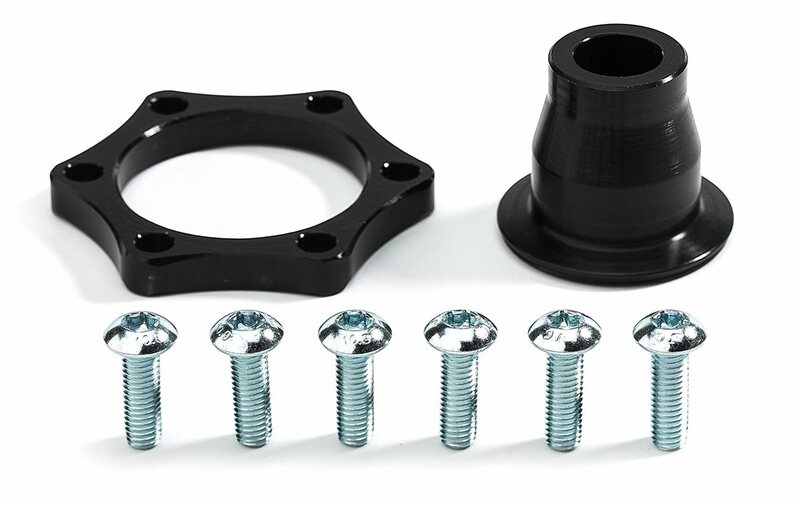 For additional information on how easy it is to setup your wheels with Boostinator check out the installation instructions here. Worked as advertised, converted my Hope Pro 4 to Boost 148, cheaper than changing the entire Hub. Worked like a charm Don’t put your sticker on a tinted window! This boostinator boosted my rear so good! You got to get that dished at yer lbs, Jenson can’t do everything for you. Grow up. It was . hard trying to find the right adaptors but these are great! Easy install. the ONLY crappy thing is you have to re-dish the wheel but no biggie. 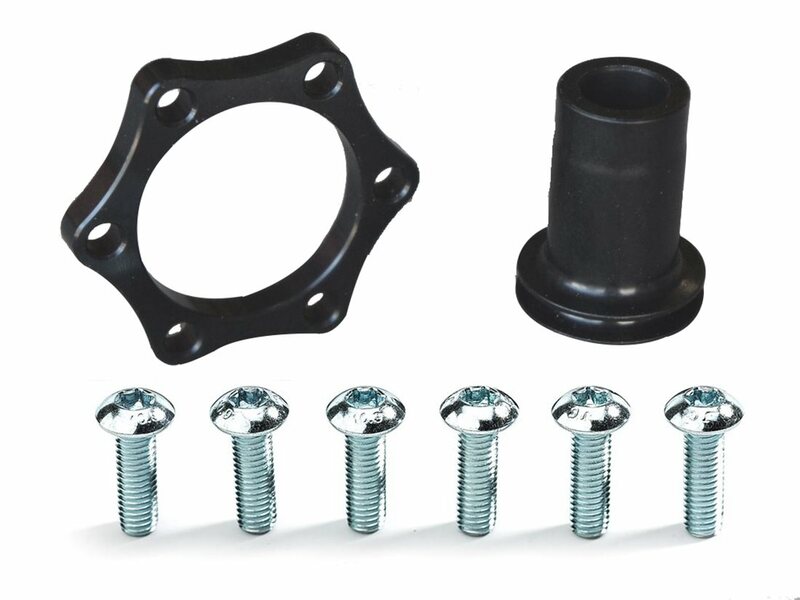 i9 priced me at nearly $400 to replace my existing 12x142 hub with 12x148 for my new build. $40 for boostinator & $40 for re-dish at local shop............Sold. Bought this for a set of wheels that were 142 to fit with my 148 spaced Niner Rip 9 frame. It's basically an endcap, a rotor adapter, and some bolts. Sure, it's pricey for what it is....but it's a lot less than having to buy a new rear hub just because you got a new bike. Worked great while I used it (until I did buy new rear hub). Works great to utilize my Hope pro2 wheels on my new Intense Recluse. Can't get any easier to install. Do need to re-dish the wheels a bit to center it. I thought I needed it at the time I bought it. I don't even know where it is. 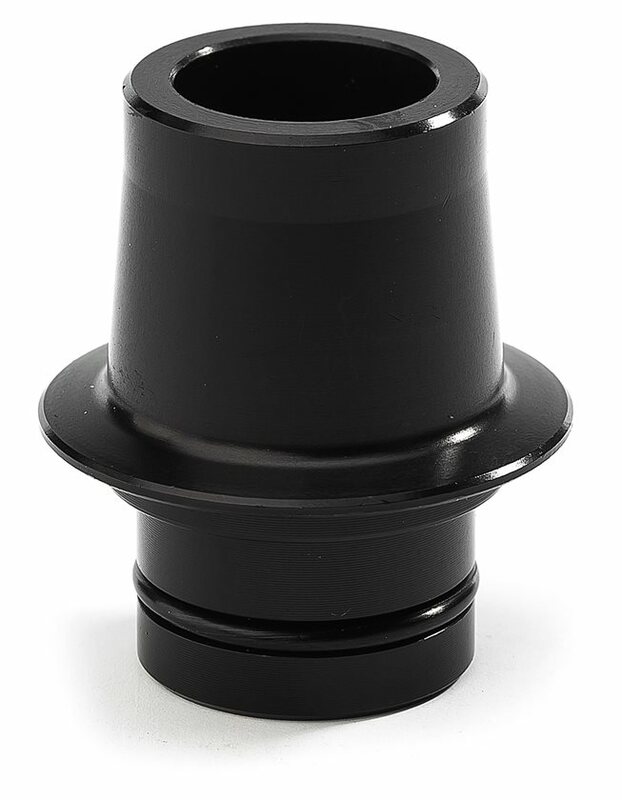 Much better than the spacer my friend is using on his hub. Glad I spent a few extra bucks to make it fit properly. Rim re-dish was super easy. Just gave each spoke a quarter turn, checked the wheel and repeated until centered. This was a easy install!! Follow instructions and you will be off riding in 20 minutes. New life to my Wheelset. It works as expected. Keep in mind that once you install the spacer, you need to redish the wheel. I installed the front and rear spacers on Hope Pro 2 EVO hubs. 4-stars as it's a little expensive for such a small part. My son needed to use a non-boost wheel on a boost fork so I got this. The picture is a bit misleading ans you only get one end cap for he drive side. This means your wheel is about 5mm off to the non-drive side. It is probably has no effect on riding, but seeing an off center wheel did not work for me. Does re-dishing require buying new spokes? BEST ANSWER: No. Dishing is just de-tensioning the spokes and then re-tensioning again to center the hub. Without doing so, the rim will not be centered and the rim/tire will ride closer to the right seat/chain stays. In the case of a front Boostinator, the rim/tire will ride to the left of center without being re-dished. Re-dishing will just make the adjustment and give correct spoke tension to both non-drive side and drive-side. The process is a pretty quick for a competent wheel builder. no, its just a few mm and no problem. i ran it a few days without redishing before i got around to got it done and wasn't a problem either. local bike shop charged me 30 bucks per wheel, same rate as truing. I got a new bike that uses 12mmx148 boost dropouts. My Hope Pro 4 rear hub is currently set to QR9mmx135mm. Could I get away with using the 12mm x 142/157/177/197 caps here, and the Wolftooth Boostinator HR kit together to make it fit? 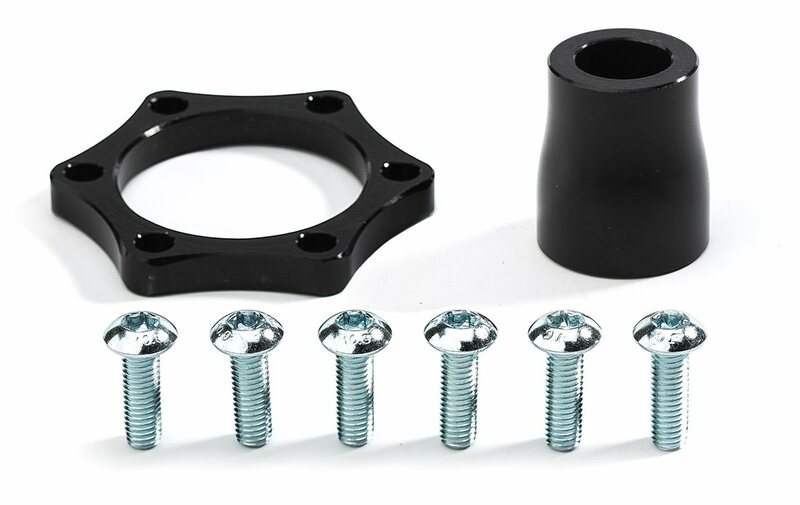 BEST ANSWER: Well I currently use a Boostinator Wolftooth for a rear Industry Nine hub TA 12mmx142mm and fits perfect but in your case you got to chek the exact distance and size of the capstone to makes sure, I think it's going to fit. would this work on a spank oozy wheel set?